Albert Desmangles was born in Port-au-Prince on May 31, 1957. His interest in art began at a very early age. noted artist Henry Bastien, taught him drawing, perspective and the use of color. Bastien also gave him several lessons in gouáçhe (a technique using paints mixed with water and gum to create opaque colors). winning a prize in a drawing competition sponsored by the Haitian-German Cultural Association in 1975.
but in front of an easel. At that point he decided to devote himself totally to art. In 1979 he entered his uncle’s workshop (sculptor Paul Desmangles), who taught him to sculpt. Then he took a few courses on industrial drawing at the Cultural Formation Center of Haiti. the National Theater and Gerard Resil’s troupe. A few years later he became a member of the musical group called Kata. 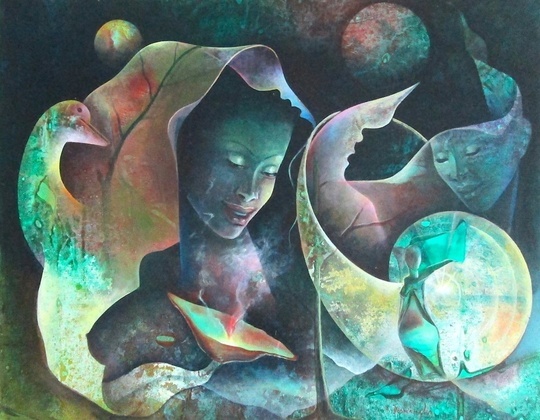 he began to paint "universal women," using light to illustrate their power. 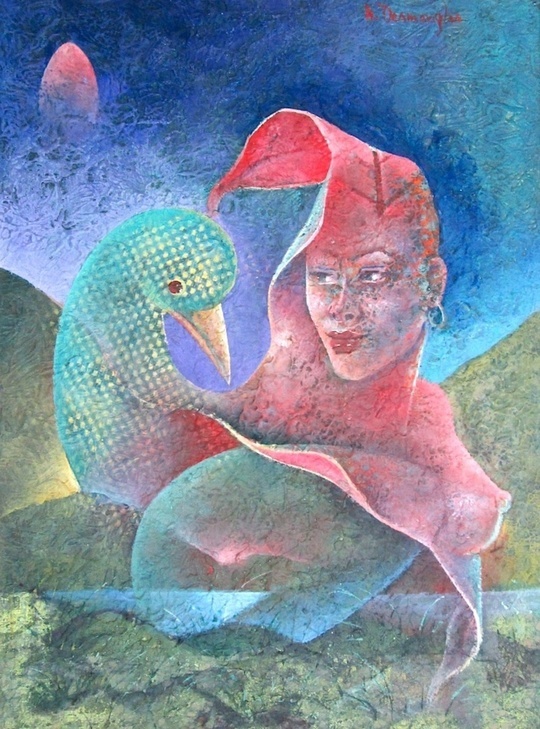 Since 1980, he has participated in many exhibits in Haiti, Europe, United States, and Japan. Desmangles is now the only living artist left in the School of Beauty. His work is highly valued by art collectors worldwide.